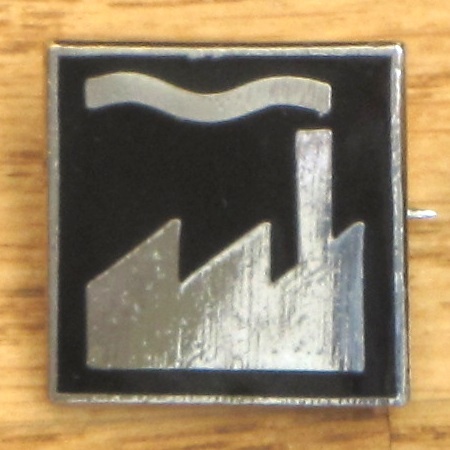 FAC 120 Factory 'smokestack' silhouette logo badge from July 1984. Designed by Peter Saville Associates. 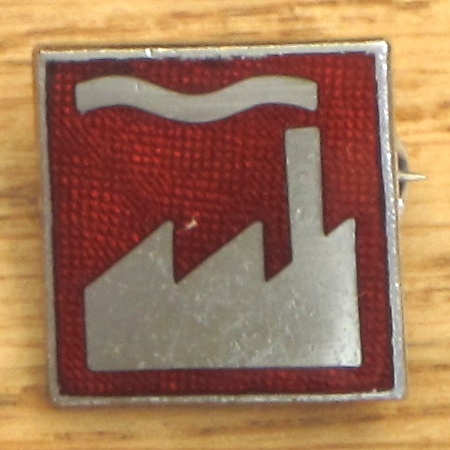 200 of each colour (crimson/black) manufactured under this FAC number. See also FACUS 21.